Compact Antennas for Wireless Communications and Terminals deals with compact microwave antennas and, more specifically, with the planar version of these antennas. Planar antennas are the most appropriate type of antenna in modern communication systems and more generally in all applications requiring miniaturization, integration and conformation such as in mobile phone handsets. 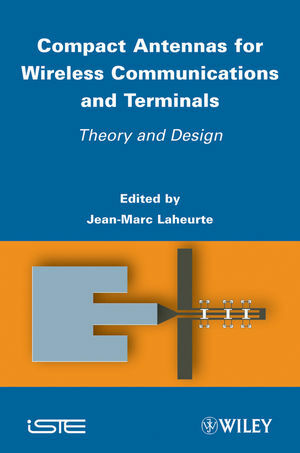 The book is suitable for students, engineers and scientists eager to understand the principles of planar and small antennas, their design and fabrication issues, and modern aspects such as UWB antennas, reconfigurable antennas and diversity issues. Jean-Marc Laheurte is a professor at the Université Paris-Est Marne-La-Vallée in France.